Is it acceptable to put an understudy on so you can watch England in the World Cup? Understudies are not toys to be played with and used whenever you fancy. They are trained, talented and terrified performers, who are often more qualified than the actors playing the roles. The only difference between an understudy and a lead is that leading actors have been on TV, or possess useful knowledge about the director’s personal life – and as a result become understudied, not an understudy. Understudies play an essential role in the industry. They can get into costume and save a show at any moment – for example if an actor falls on their head by not remembering where the front of the stage is. They usually do this with only an hour’s rehearsal (while everyone else has four weeks, dear). The job of an understudy should not be undervalued – without them the whole of Theatreland would come to a standstill when a leading actor has a slight tickle in their throat. Understudies are the fourth emergency service. Anyway, to your question: Can you put your understudy on to watch England in the World Cup? You may find the following useful, dear. • You have no voice. • A family member is ill.
• Your pet has died. • It is your birthday. • You have an important event: wedding, funeral, witness at a friend’s circumcision. • You have a Tinder or Grindr date. • It is the Love Island final. • You are hungover (unless you can’t stand up without fluid bursting out of every hole). • It is sunny outside. • You’ve been invited to a press night. • Your dog ate your homework (the script). You may have noticed I haven’t put ‘Watching an England game’ on the above. This is because it would be unprofessional. However, if you are a die-hard fan, and the idea of missing a game makes you shake uncontrollably, then of course you should put your understudy on – you just have to be careful about how you do it. Never admit you’re taking a show off to watch a game, simply state it’s a coincidence. You are seriously ill and you need rest. The clever performer will never take other sick time (even if they are on death’s door), so that when they do call in sick it seems as though they are genuine. It is as though they have accumulated this ‘sick day’ for good behaviour, allowing them to spend an evening on the subs’ bench to watch people kick an object for 90 minutes. However, if you do put your understudy on, it is only fair that you keep them updated by texting them the score throughout the game. And, if England win, you are obliged to let them play your part as often as they want, dear. 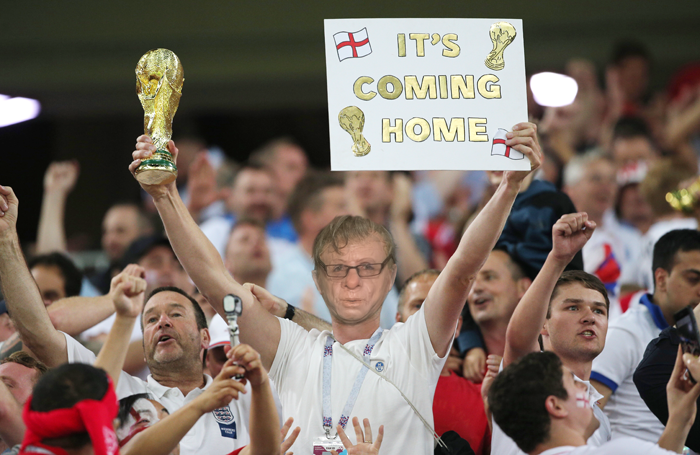 PS I loved the England vs Columbia game the other night. I worried during the overture. The first half was a long Pinter pause. In the interval the director (an ex-performer) shouted backstage. The leading man (rep’d by Troika) gave a sterling monologue in the second half, but it wasn’t enough. Then the ensemble saved it all in the megamix. Bravo. What are our critics’ top picks for the Edinburgh Fringe 2018?